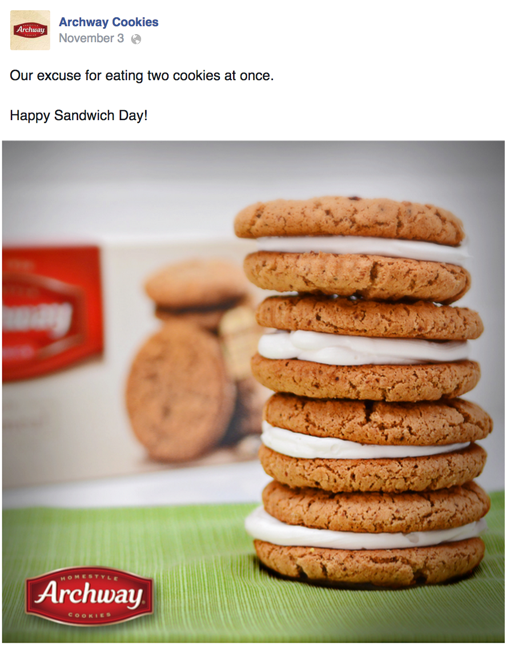 The Archway Cookies brand prides itself on homestyle cookies. 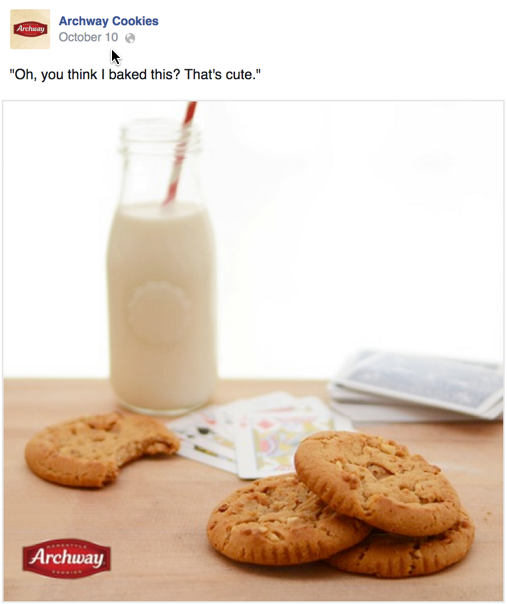 In 2014, the brand focused its target audience to baby boomers. Fully embracing the baby boomer audience, I reworked the brand voice. 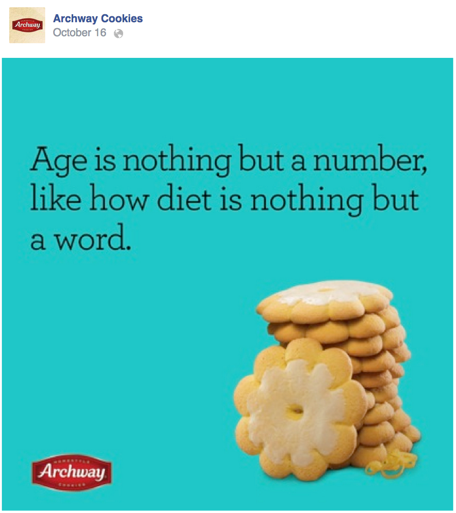 The goal was to identify with the older audience, and what resulted was an unforgiving and tongue-in-cheek tone of voice that allowed people to see Archway Cookies as a truly indulgent treat. I wrote copy and led art direction on Facebook and Pinterest, as well as managed several Facebook ad buys.